I stumbled upon this beauty trick after a product ‘fail’. As I am sure you have noticed by now if you follow me on Instagram, I am obsessed with anything bronze-y or that enhances a tan. 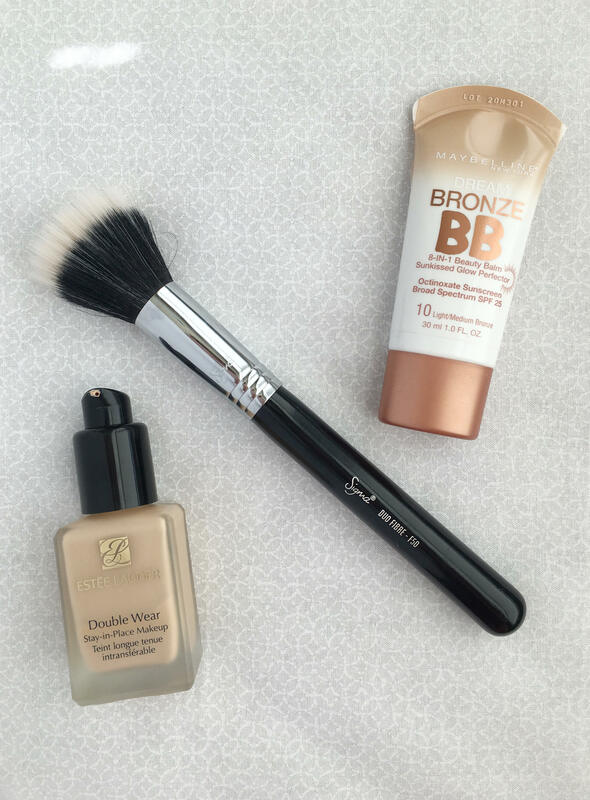 I bought the Maybelline Dream Bronze BB in hopes that I would get a beautiful summer glow when using it. Well it didn’t. And I don’t really like it for its intended purpose. But when used as a means to darken your winter foundation shades, it’s amazing. 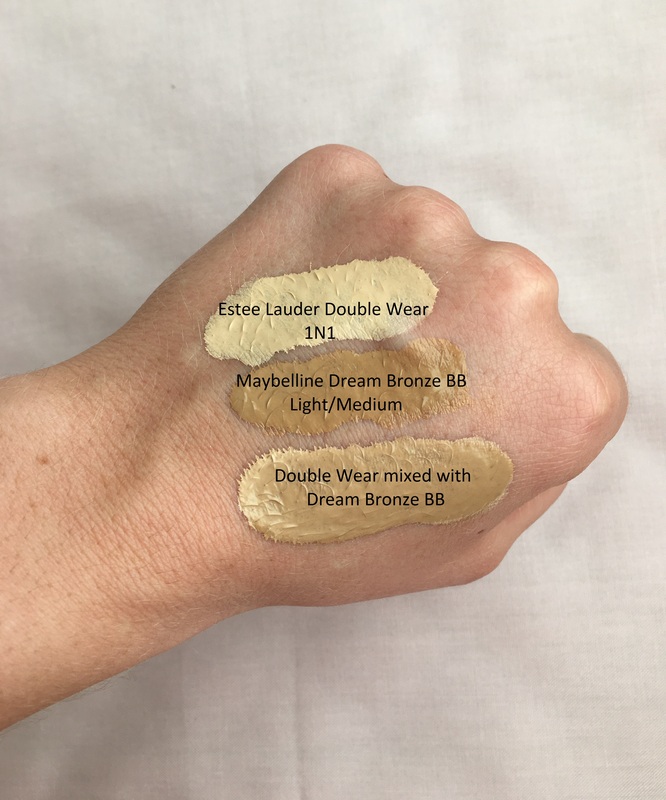 You can see here that Estee Lauder Double Wear in 1N1 is my winter shade. 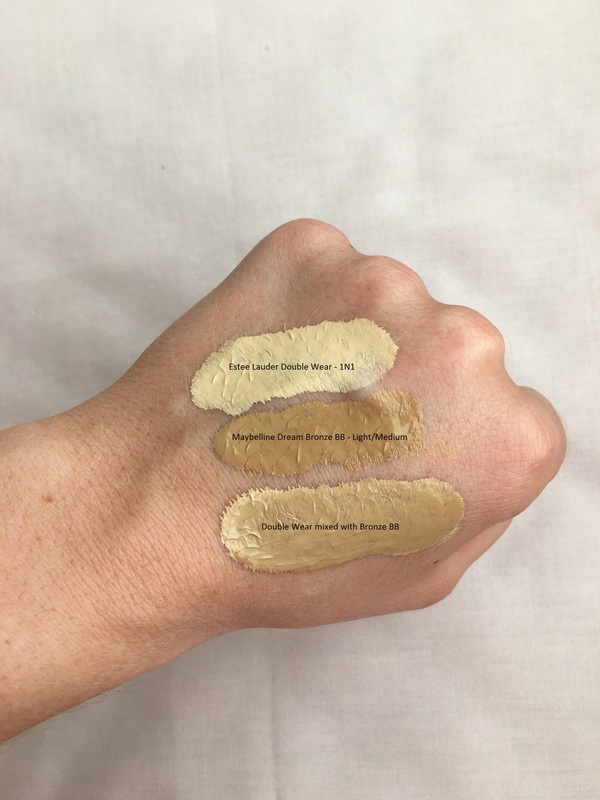 And because I do not want to have a billion foundation bottles sitting on my vanity, I use the Bronze BB to darken the shade to suit my current skin color. Another added benefit to the BB product is that it sheers out the Double Wear a little bit, which is what I want in the spring and summer. Hope this quick tip helps save some money and let me know if you have any other foundation tricks.